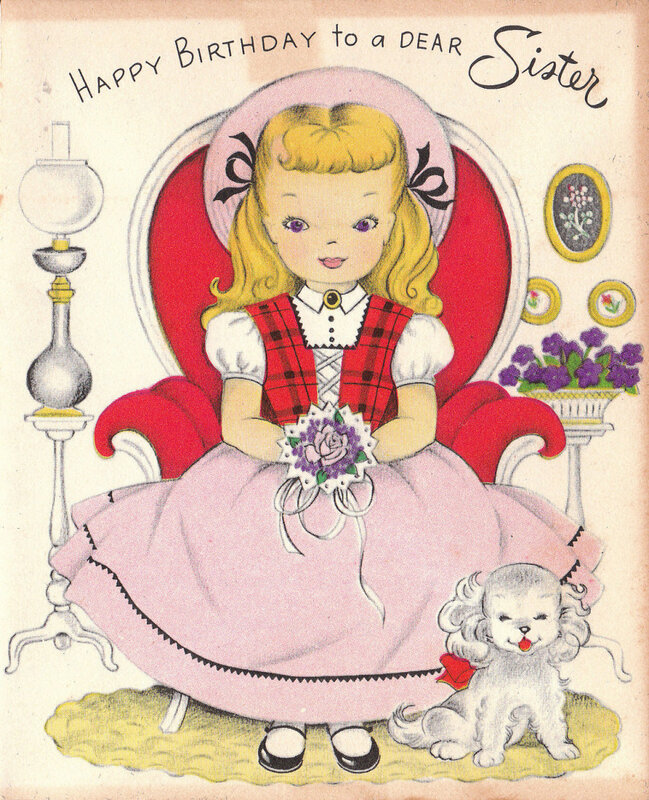 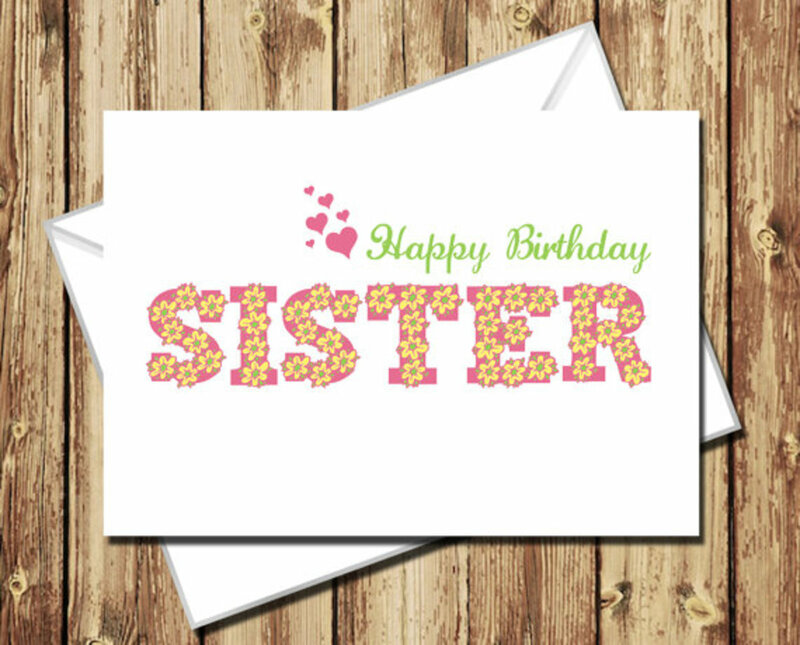 It’s your sister’s birthday, and it’s time to wish her a good one! 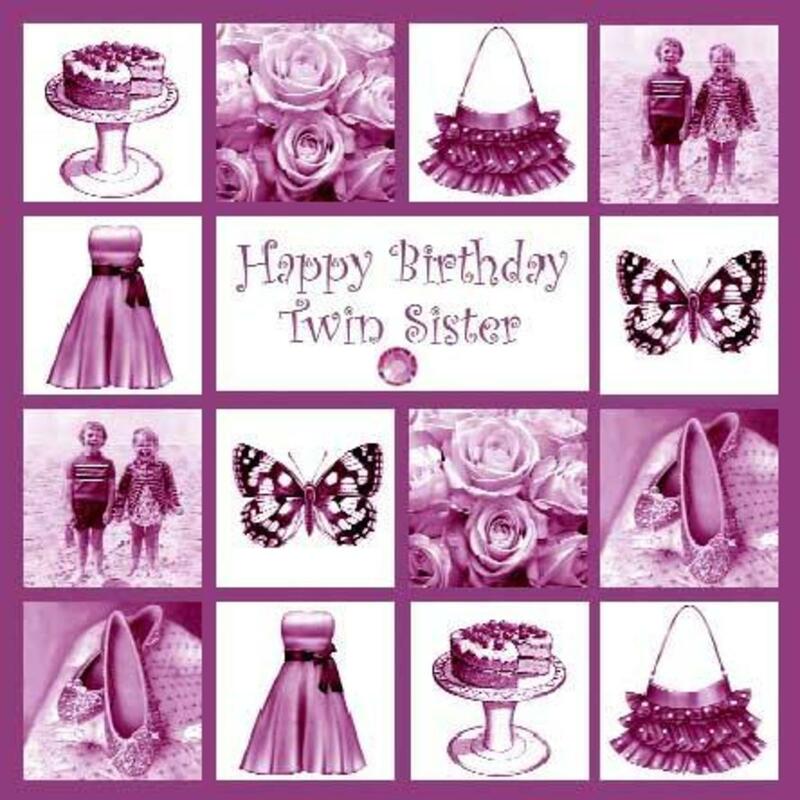 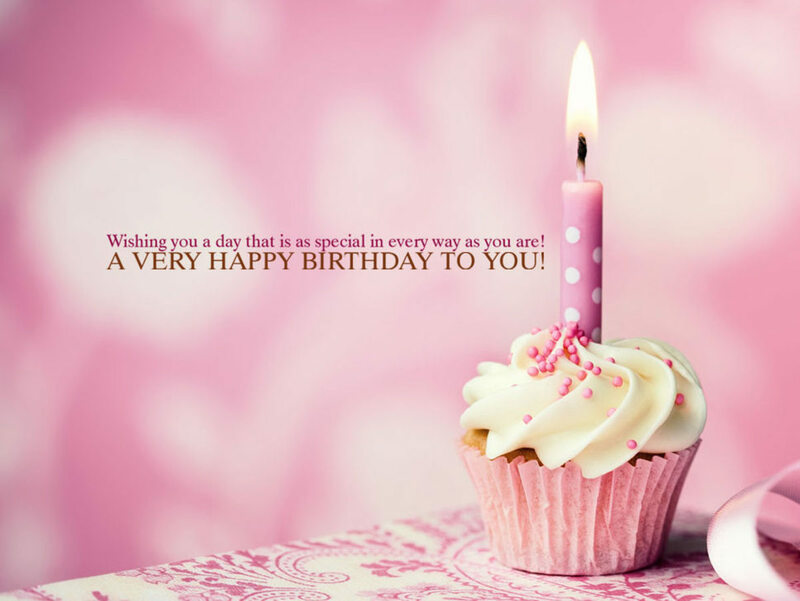 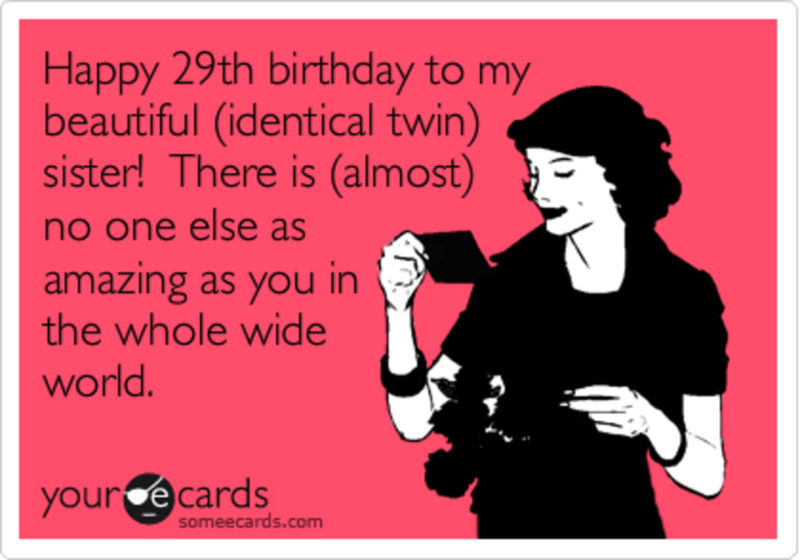 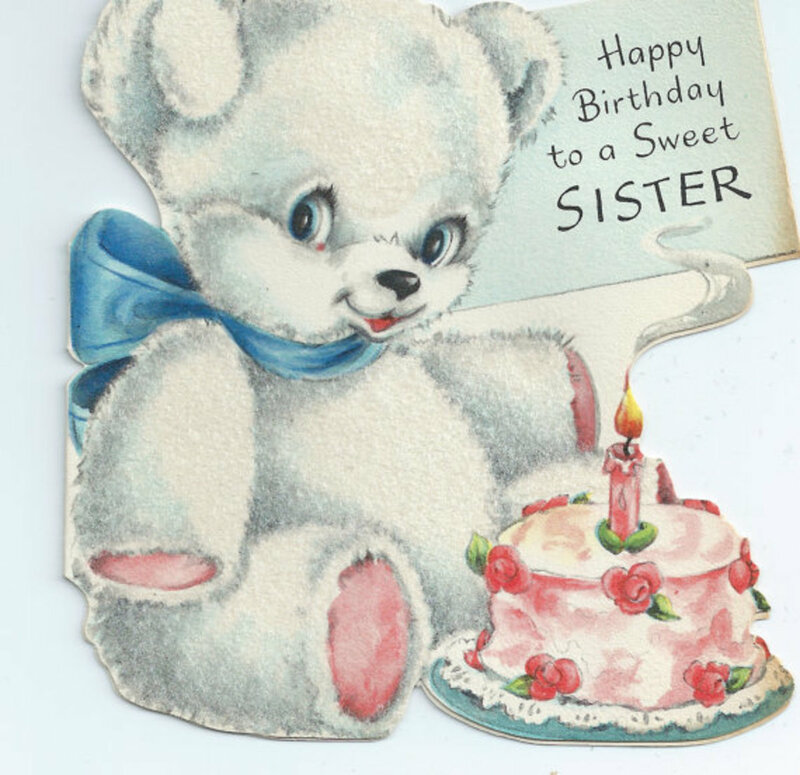 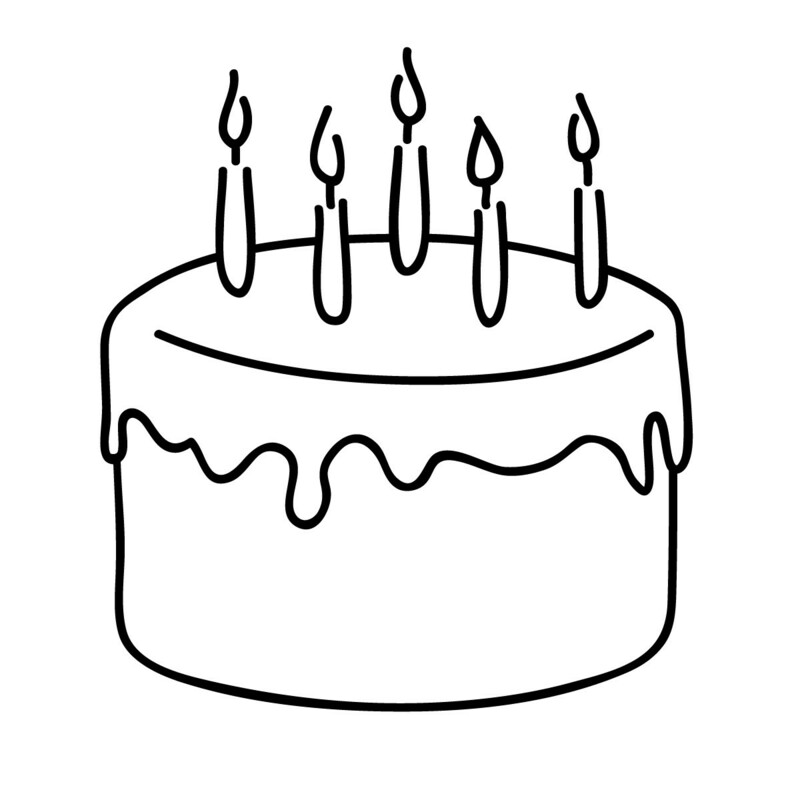 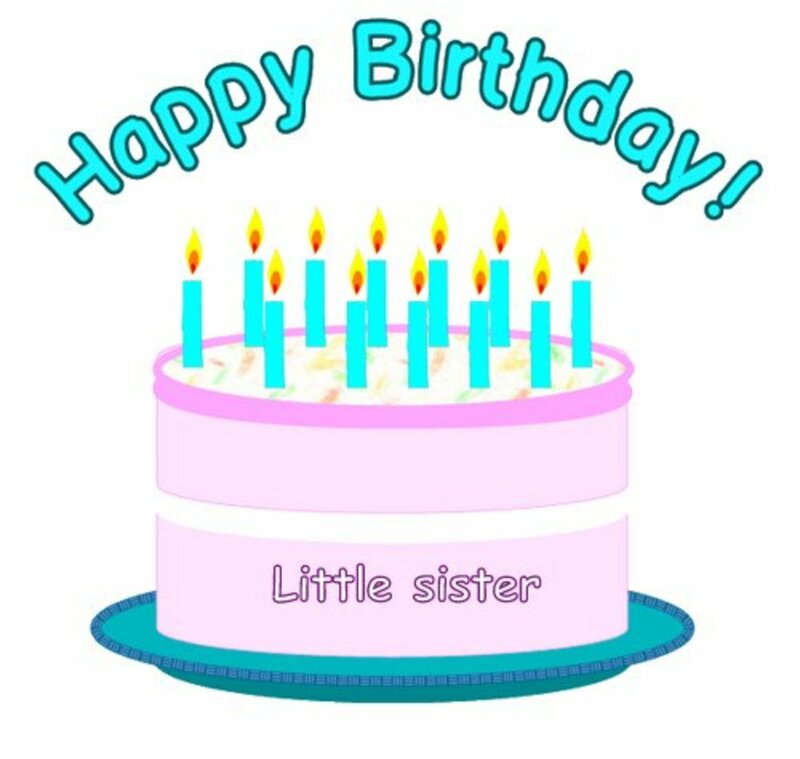 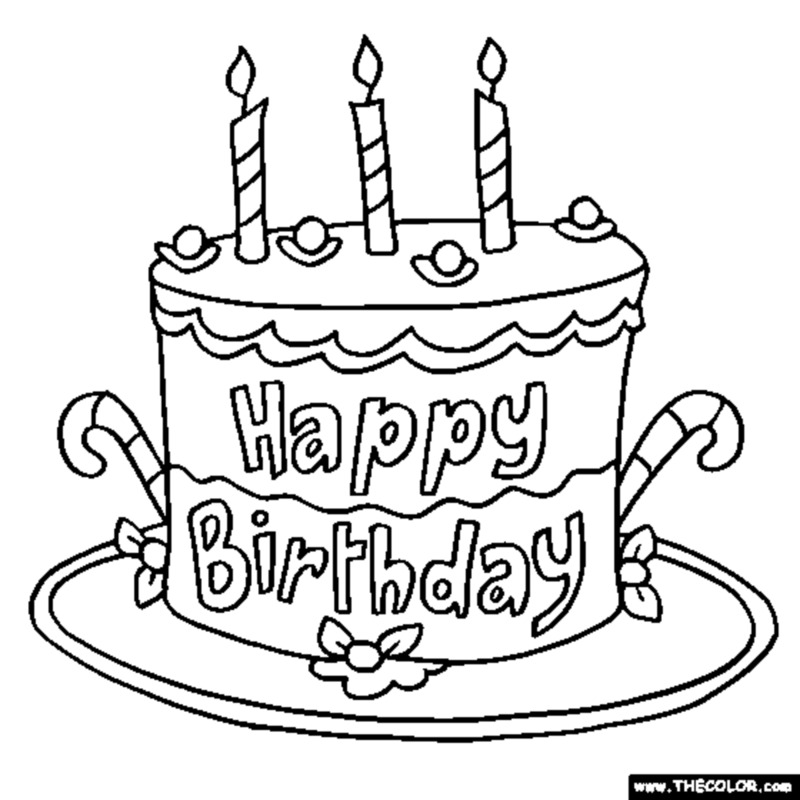 This article will provide tons of sample birthday wishes for sisters, big sisters, little sisters, and even twin sisters. 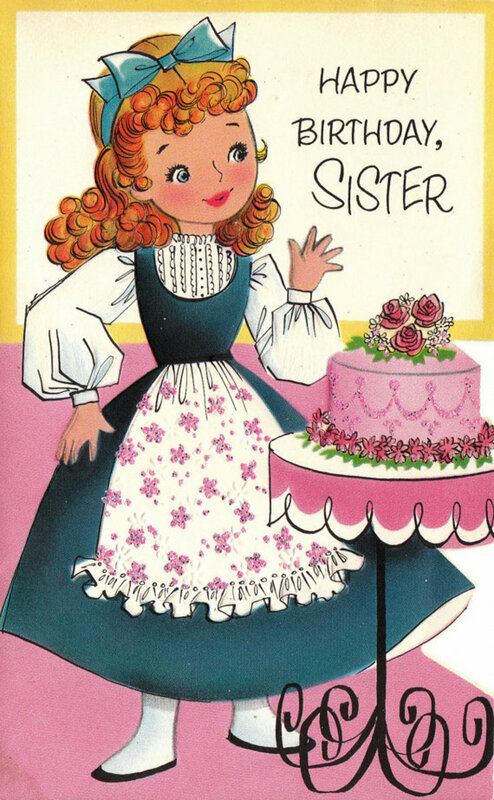 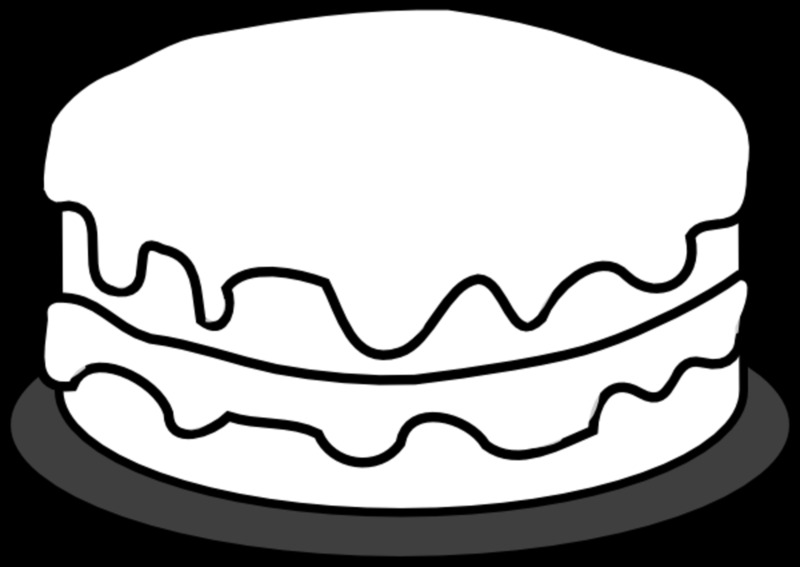 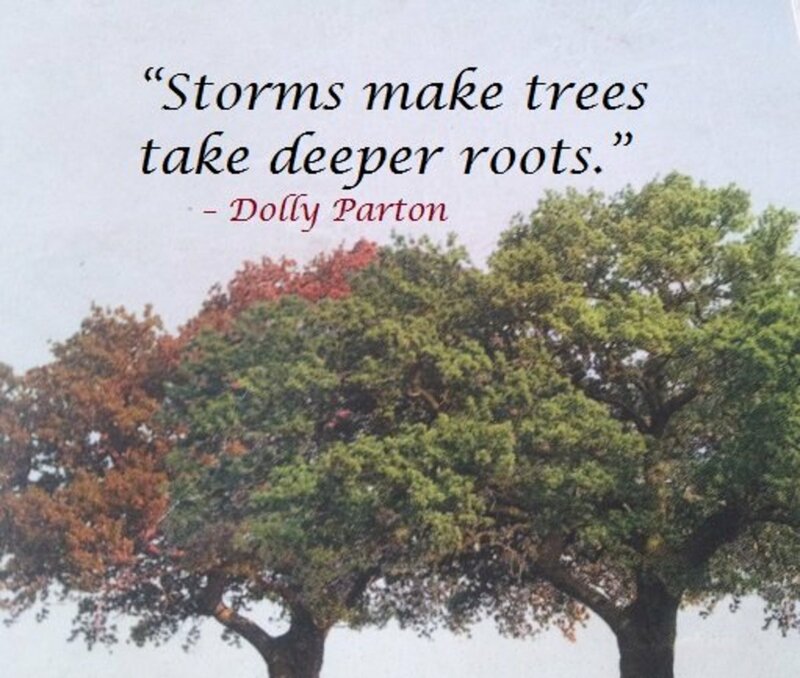 There are also a variety of images with quotes on them that you're free to used, and I've added some coloring pages too for children to colour and gift their sisters with. 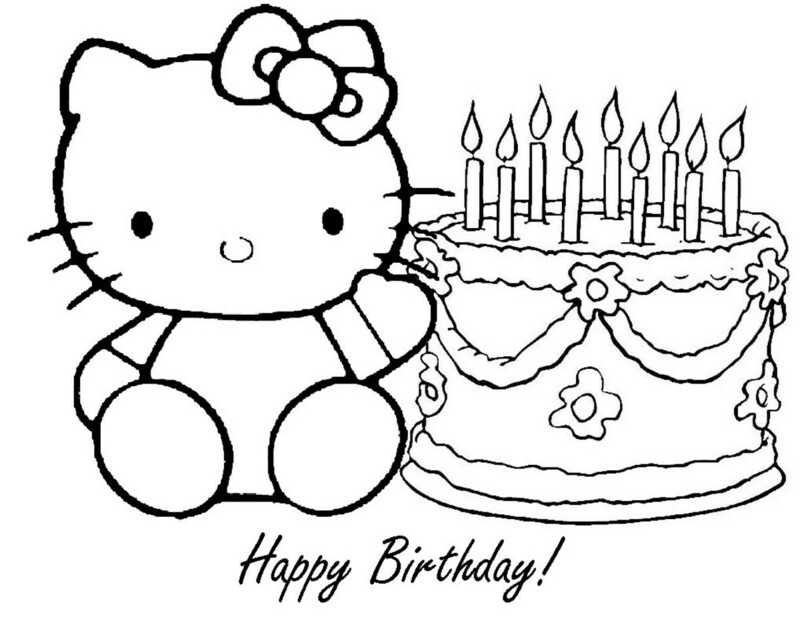 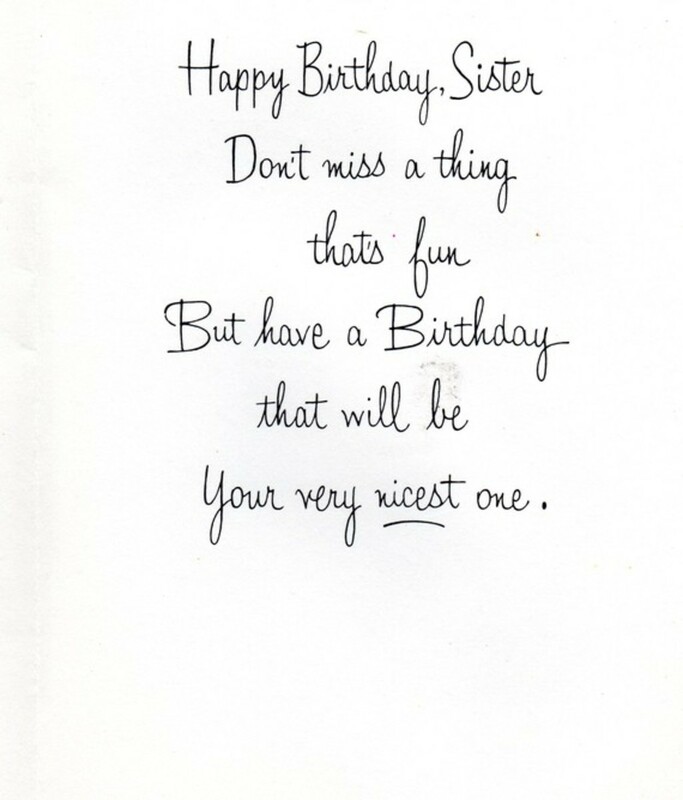 Enjoy, and happy birthday to your sister! 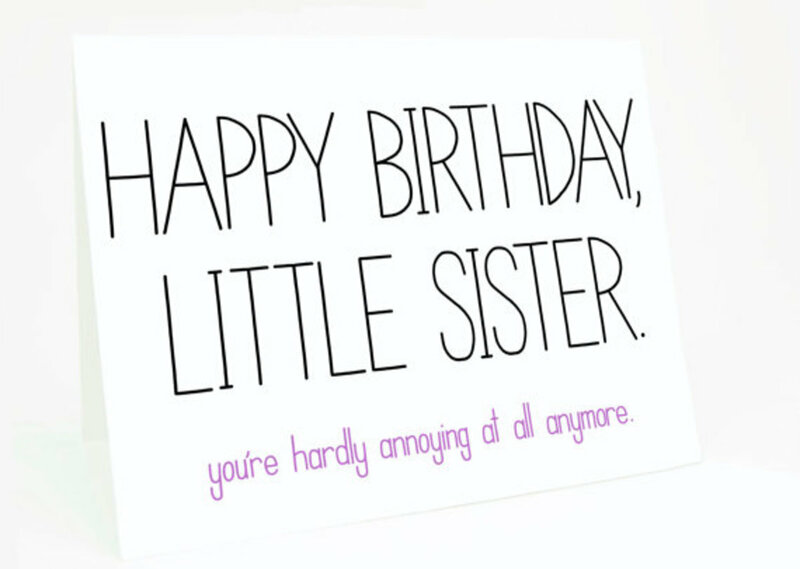 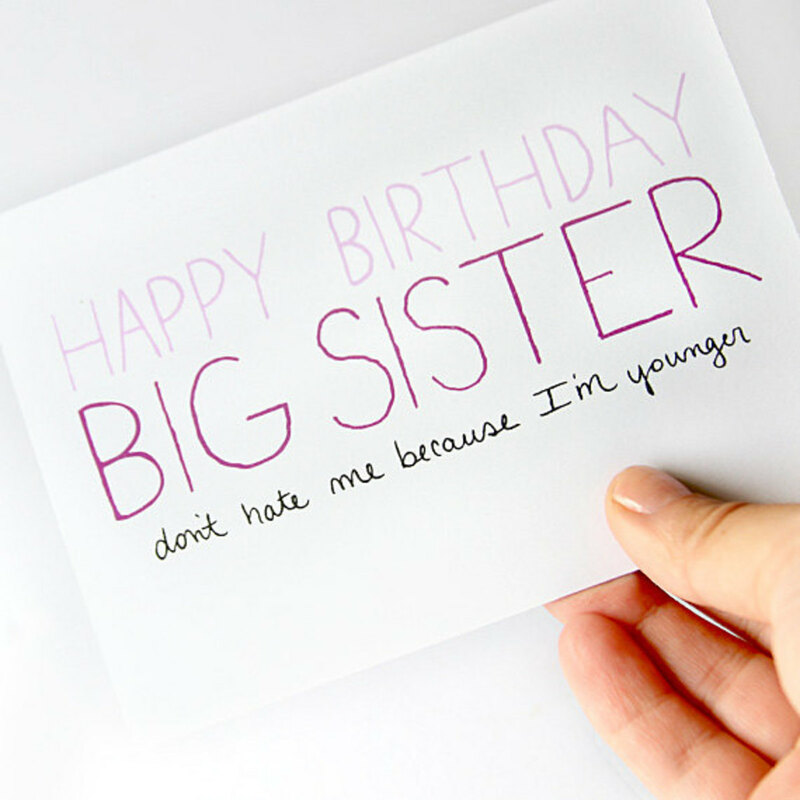 Here are some wishes for your older sister. 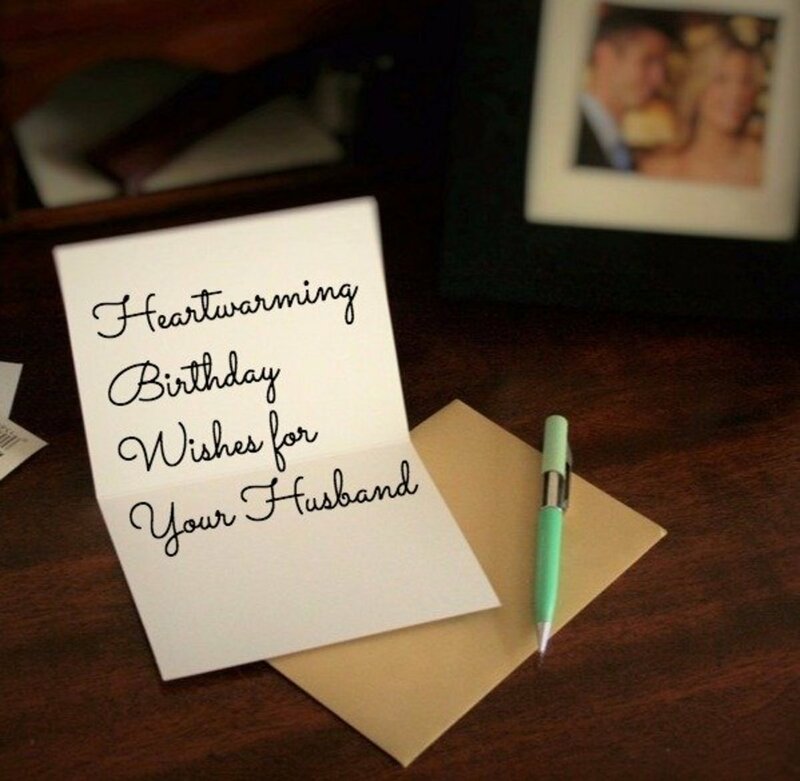 You can tease her or please her with these amazing greetings, guaranteed to bring a tear to her eyes with laughter or nostalgia. 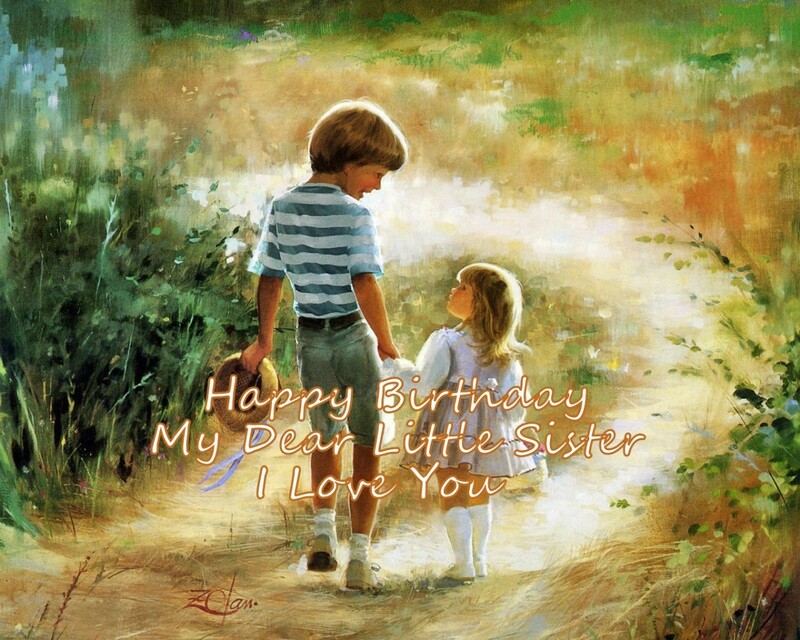 "I am so glad I had you to grow up with me and someone to share the tears and the laughter with. 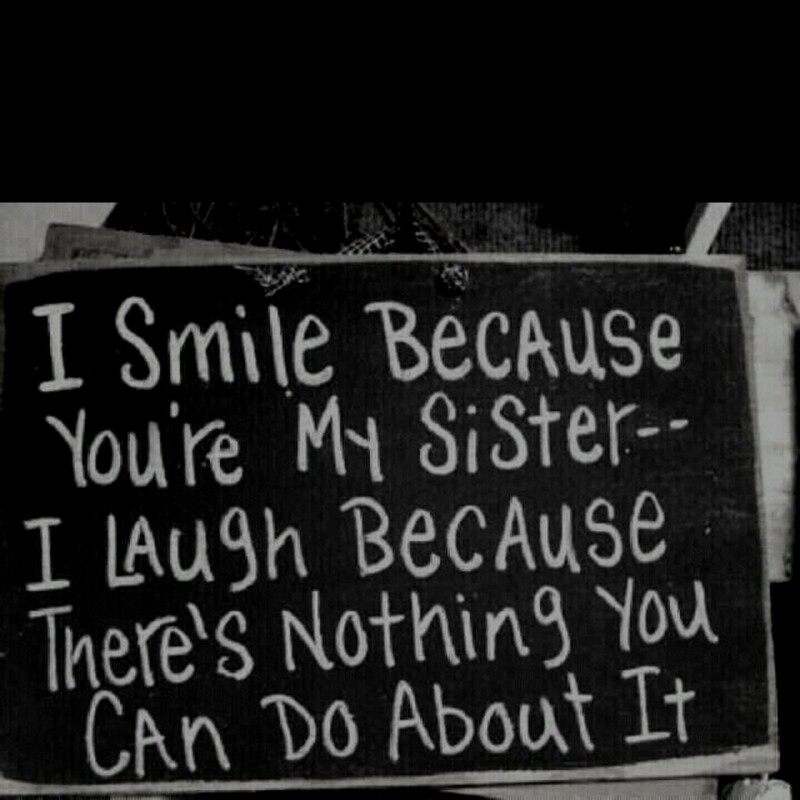 You made the sad tears easier and tears of laughter more fun. 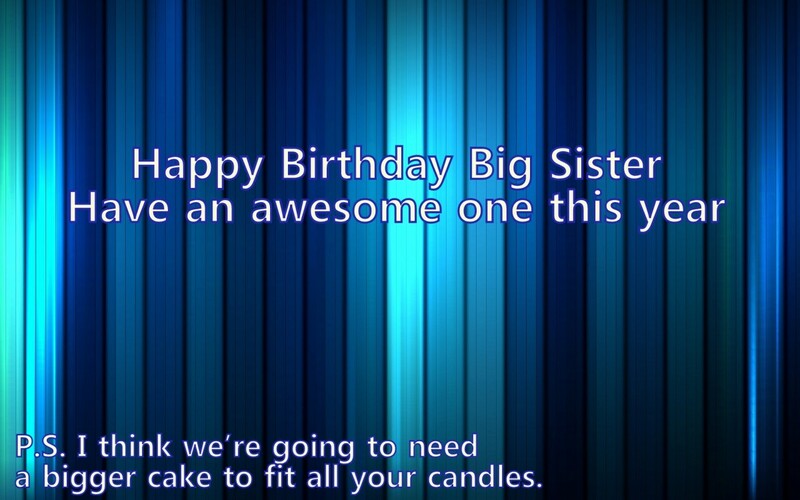 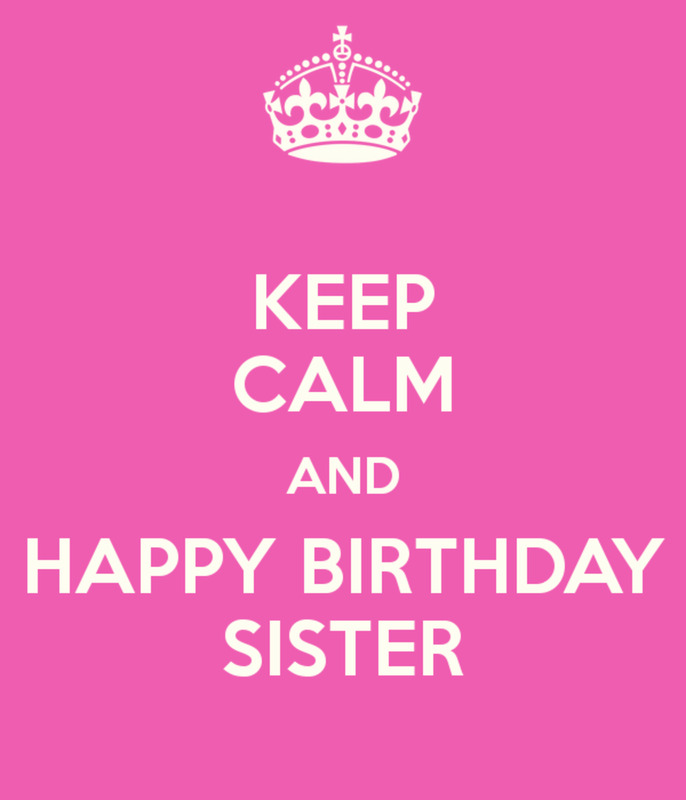 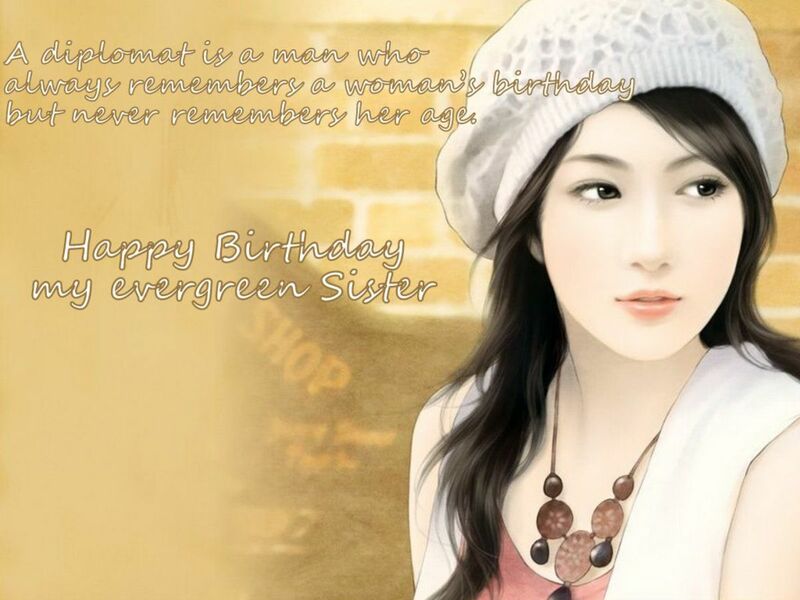 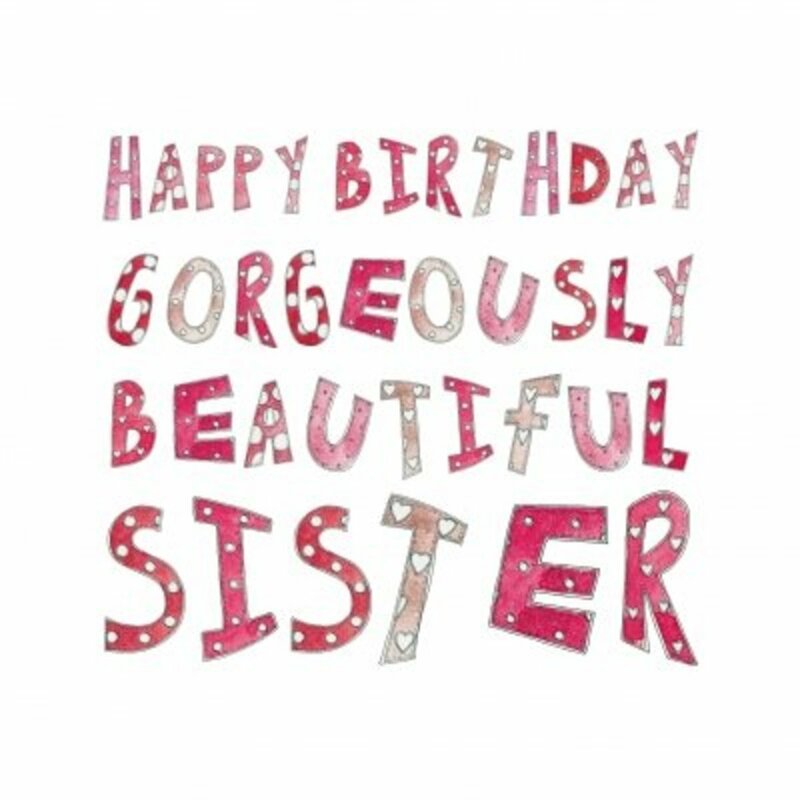 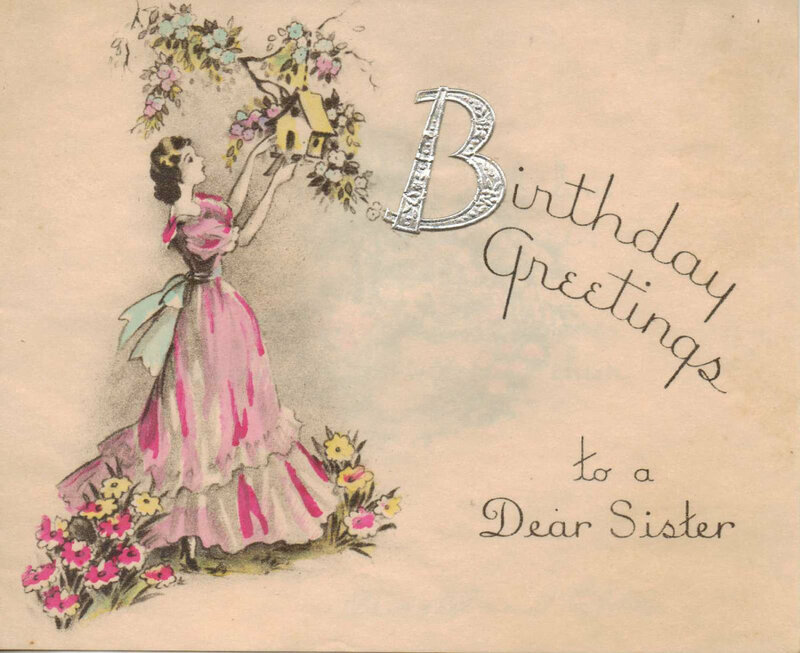 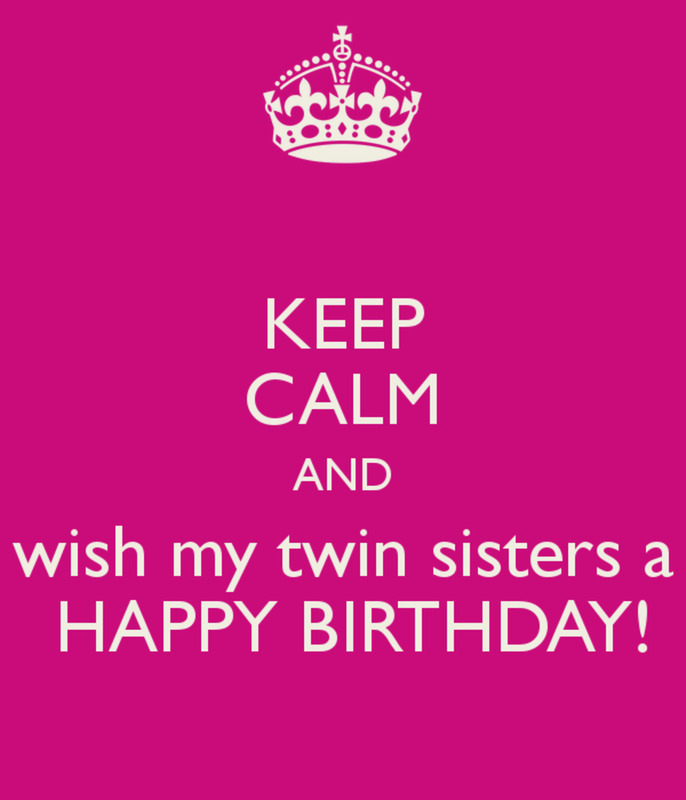 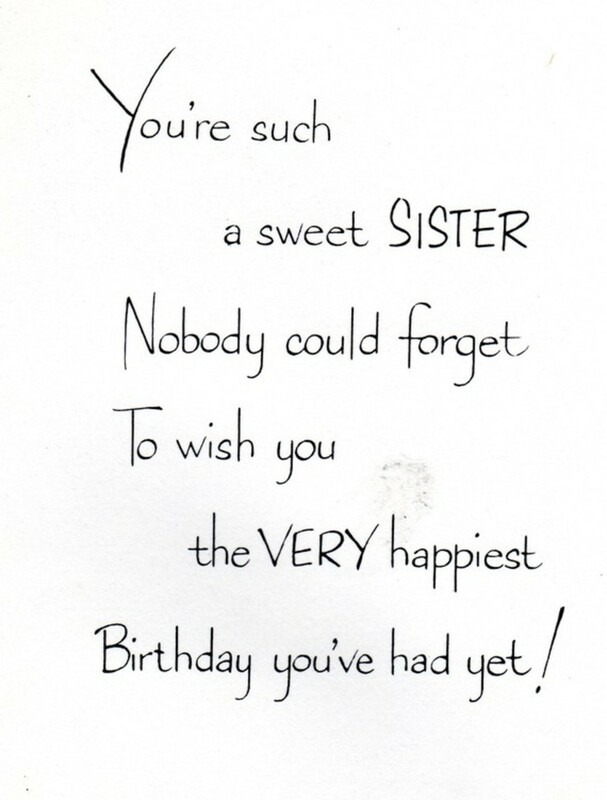 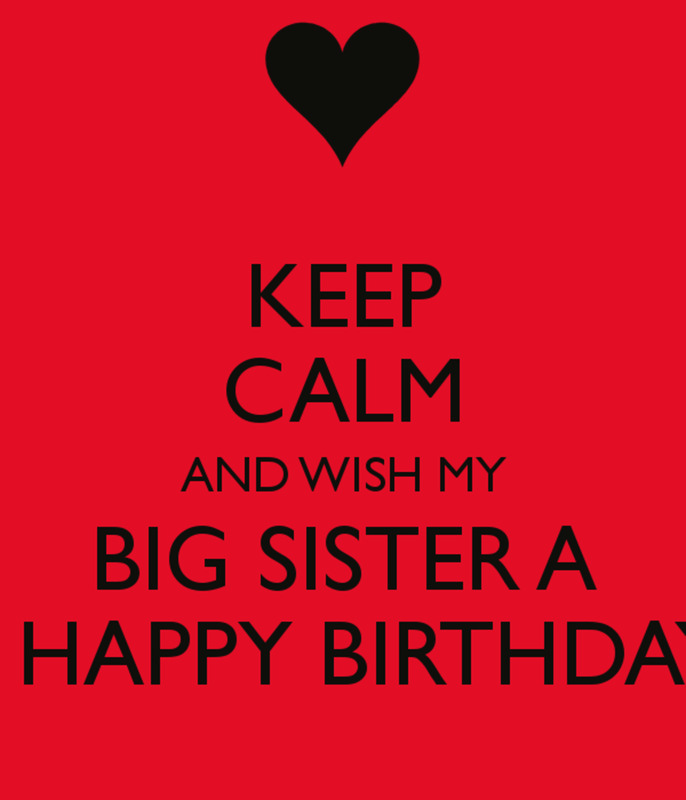 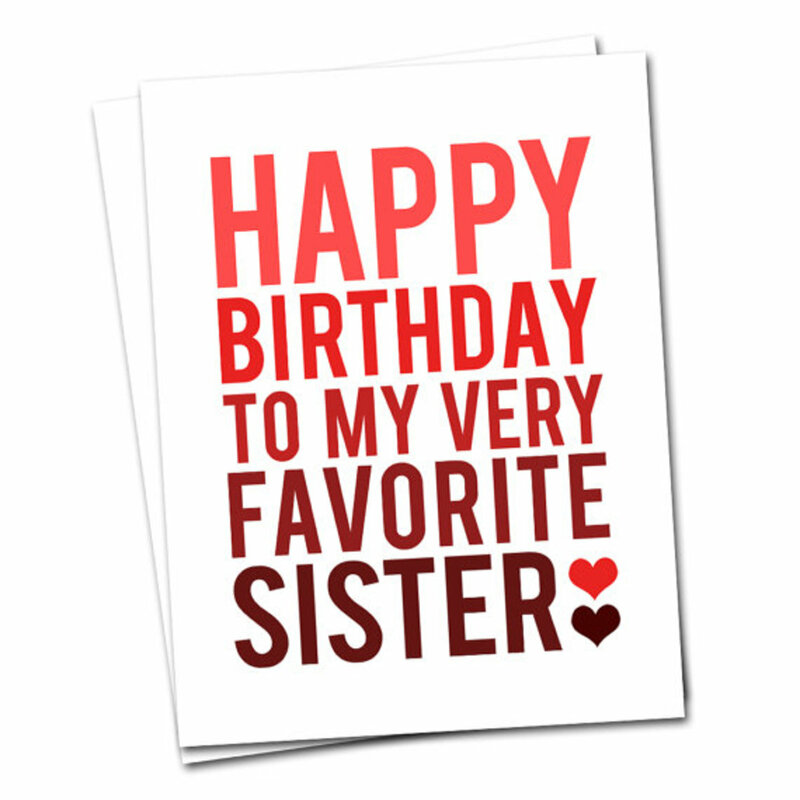 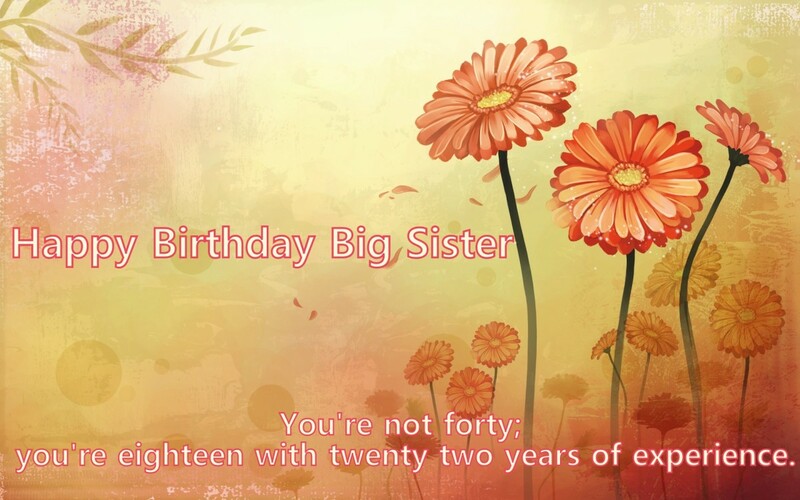 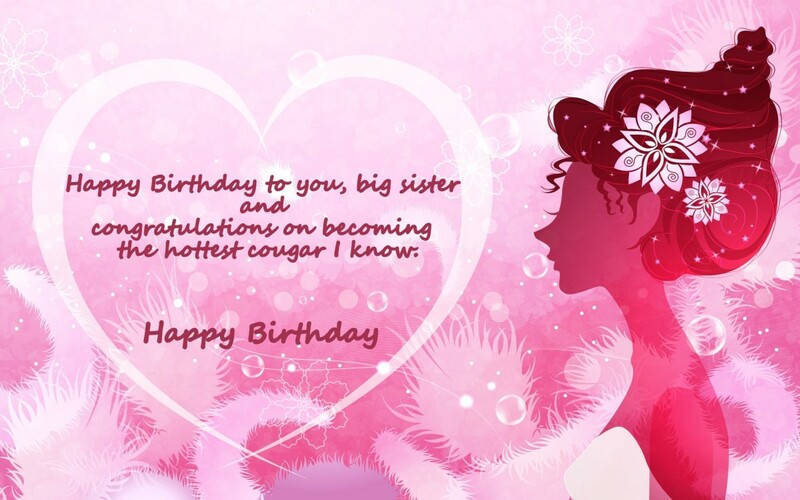 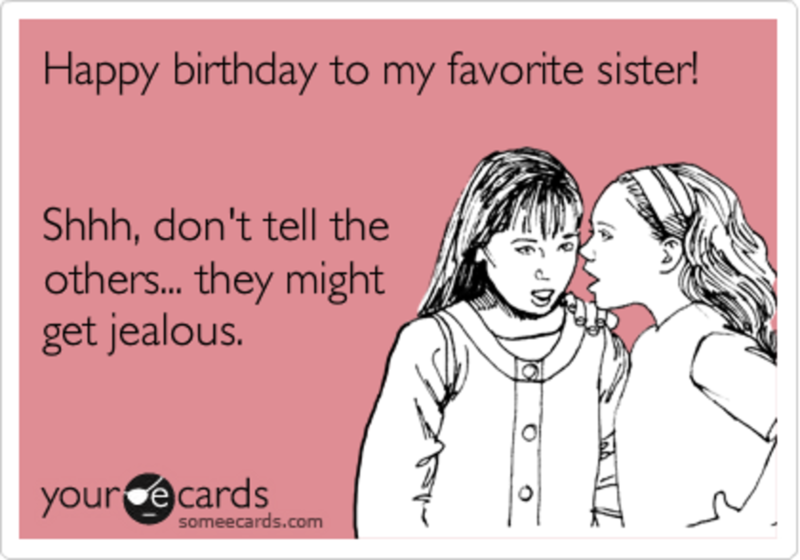 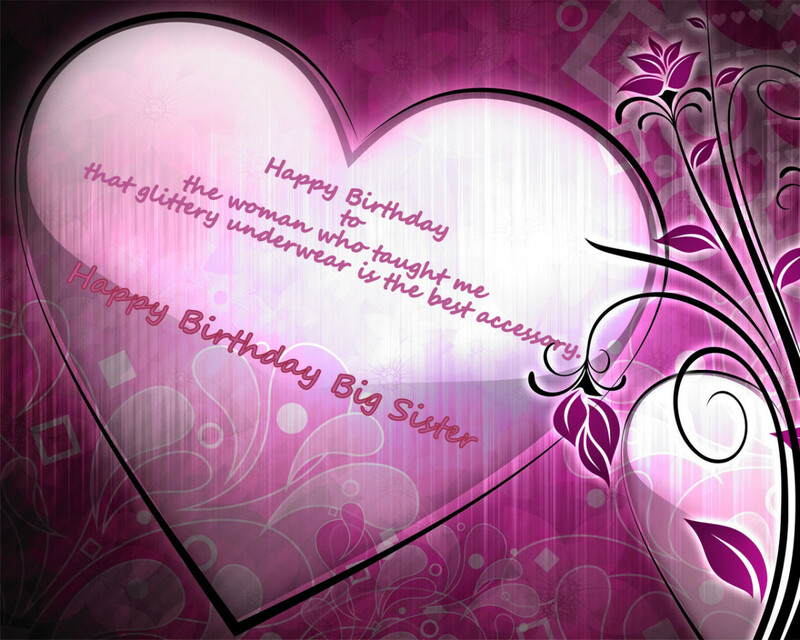 Wishing you all the best today, my dear big sister!" 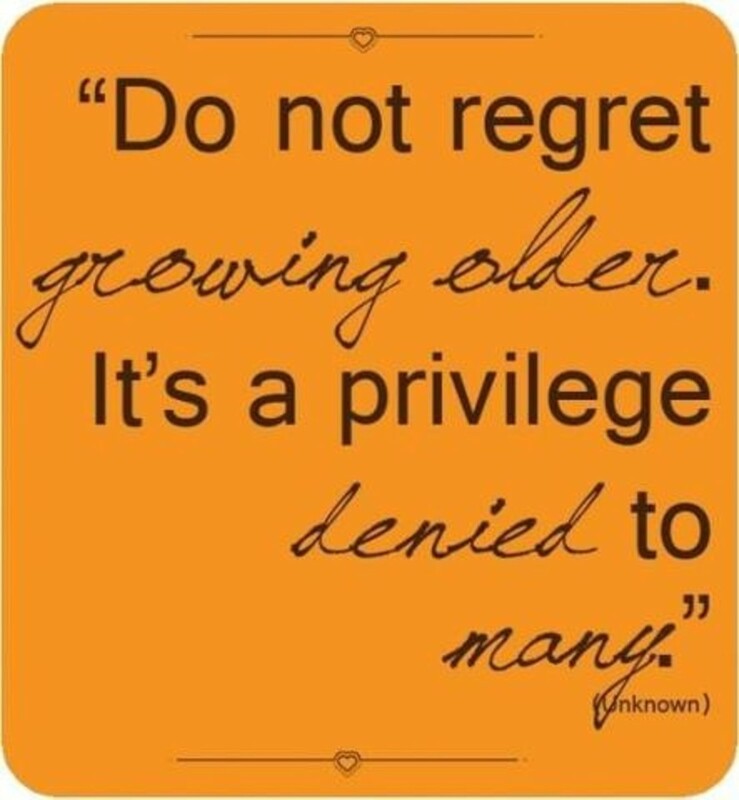 "I am sorry for all the times I let you down or caused you to break into tears, or if I disappointed you. 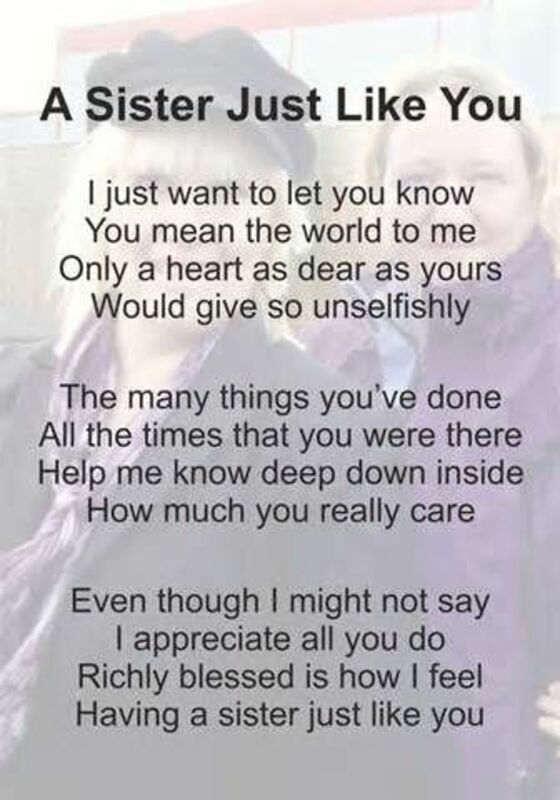 But I love you for the patience you showed, and for the love you gave. 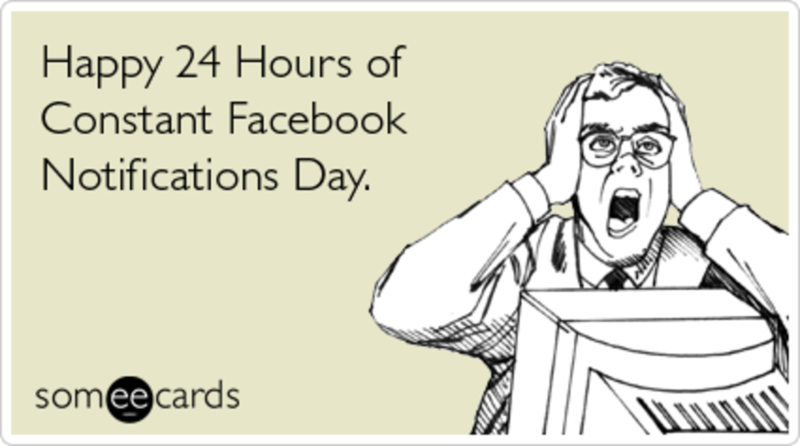 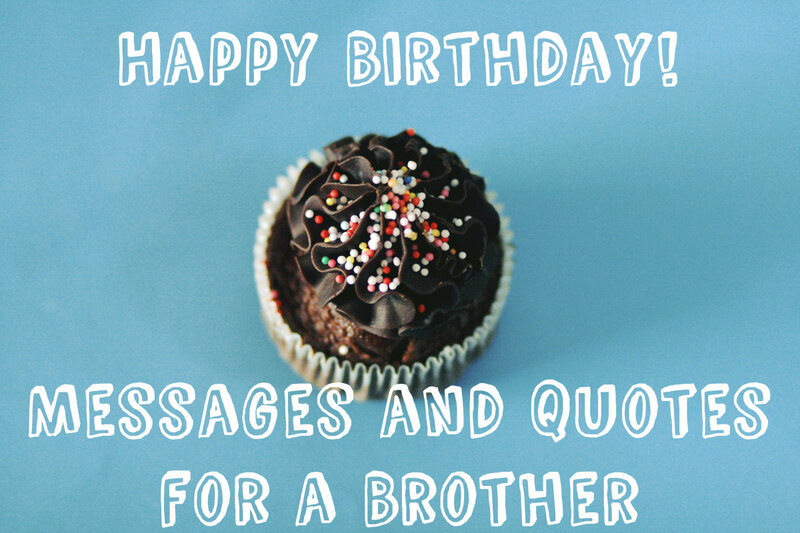 And I want to shower all the love I have on your special day. 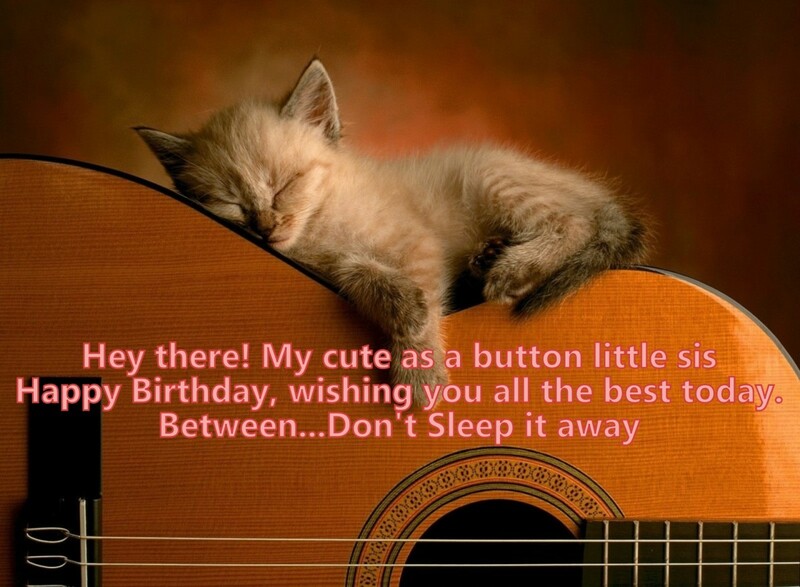 Have a great one!" 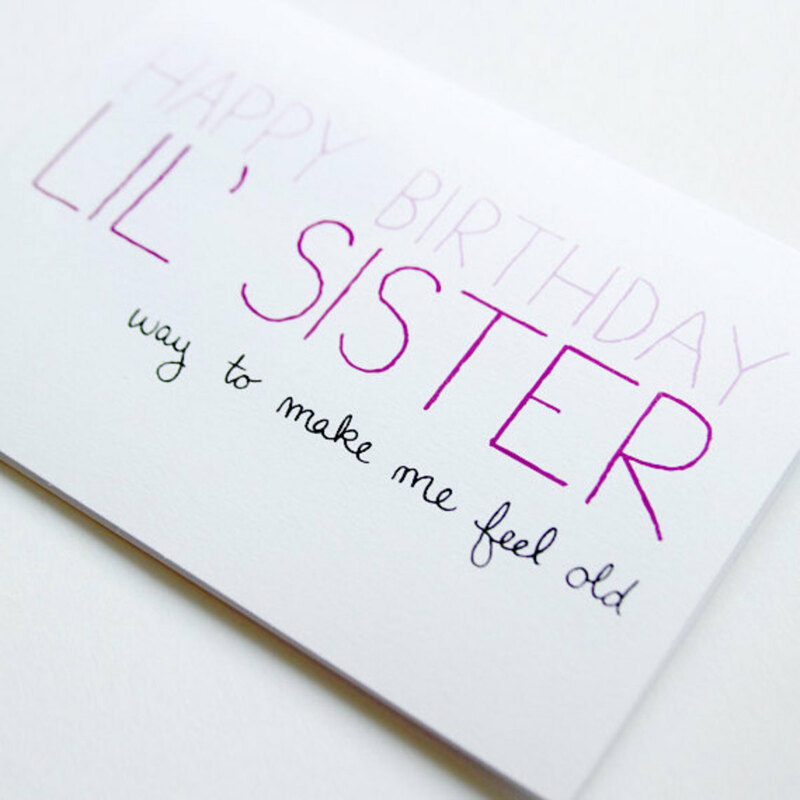 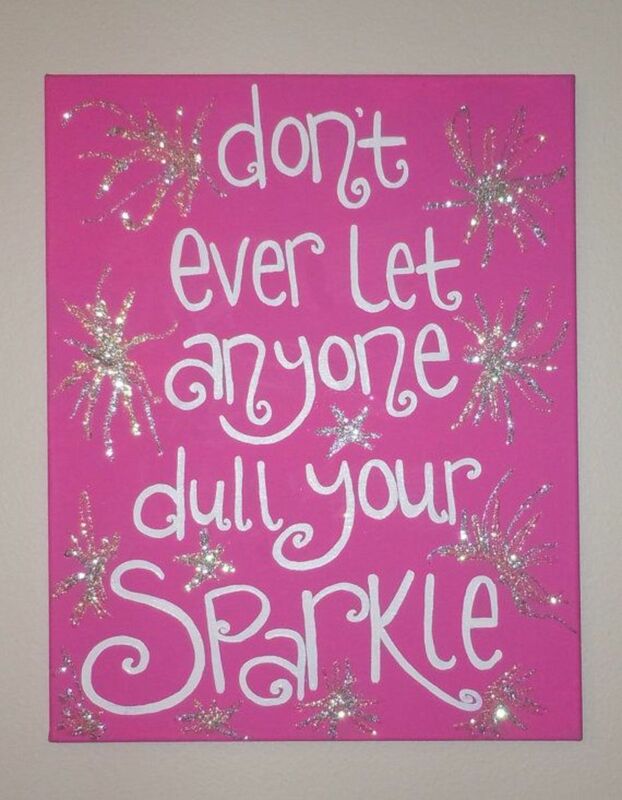 Here are some great quotes and wishes for your little sister. 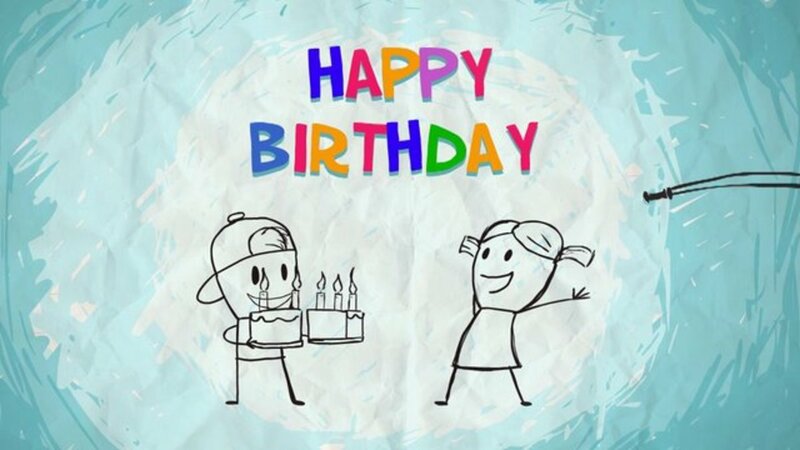 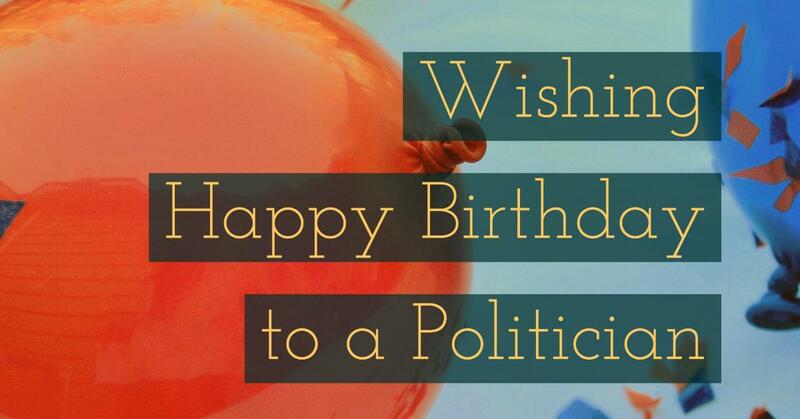 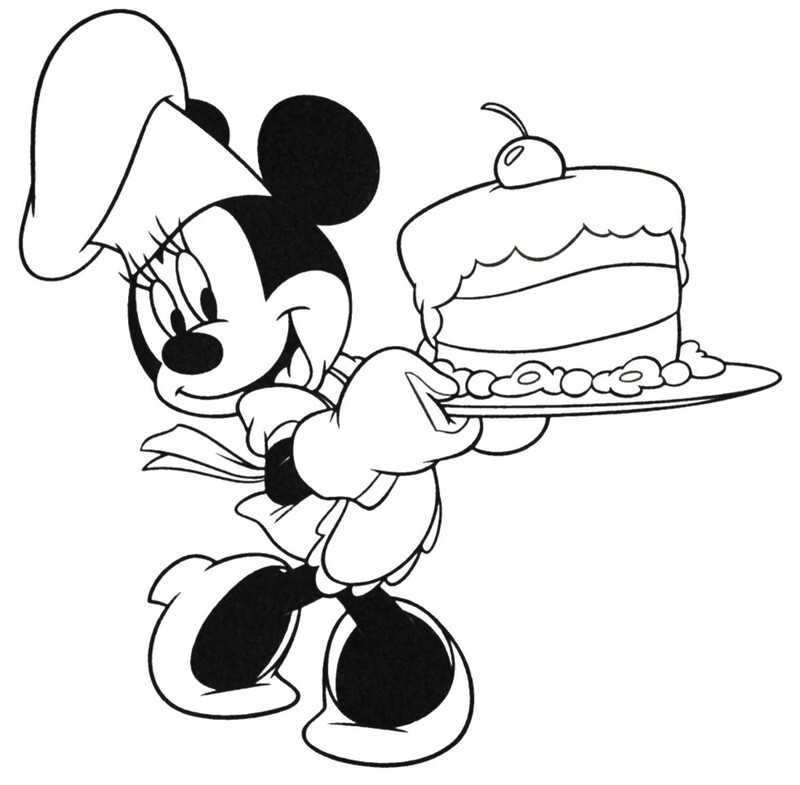 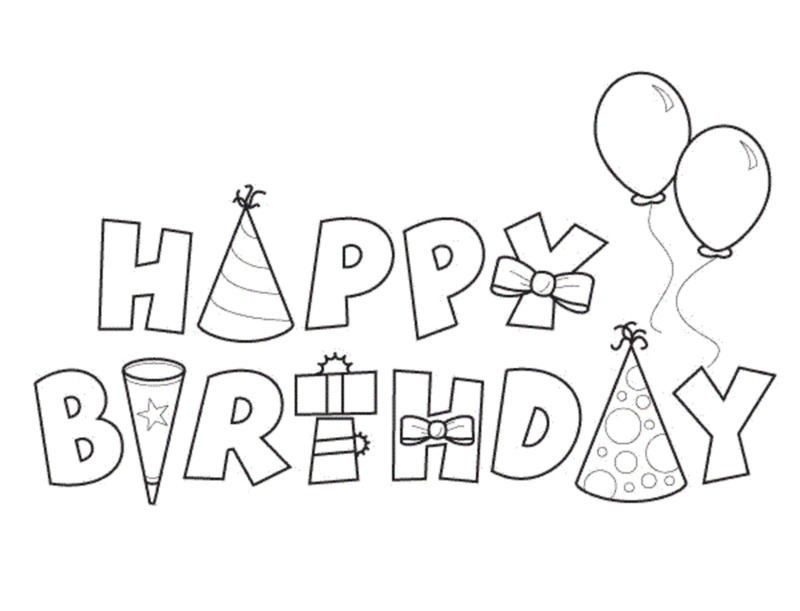 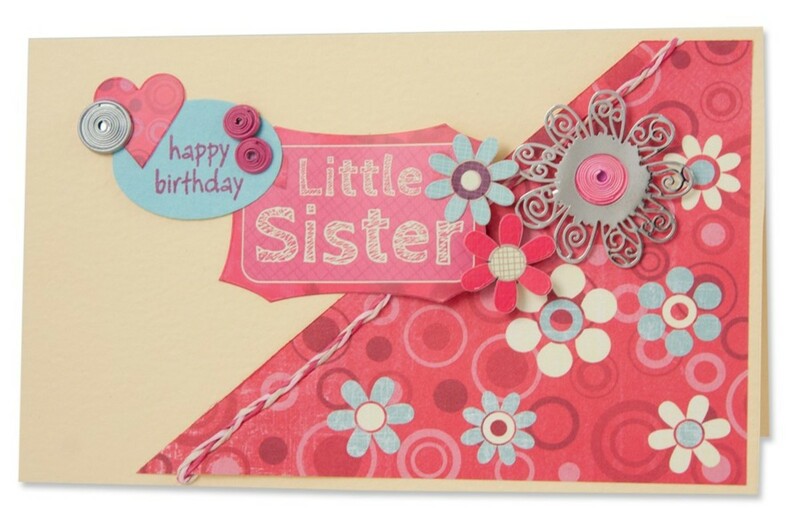 Send her a cute birthday greeting, quote, or card to bring a sweet smile onto her face. 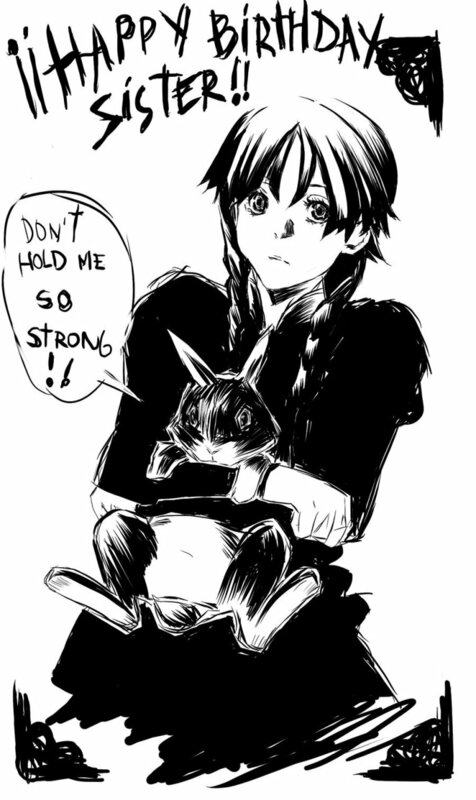 "Right from the very first time I held tou in my arms, I knew you were special. 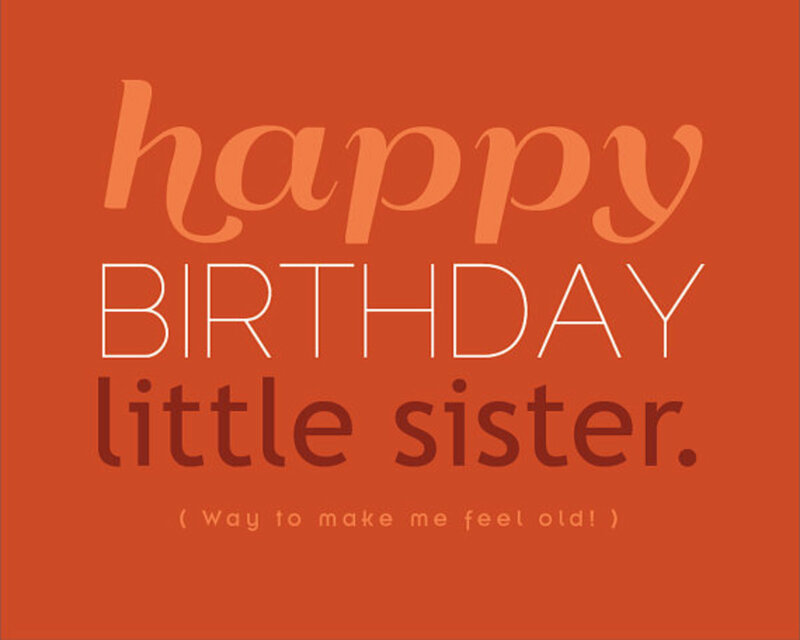 Today I find myself so happy to see you growing up so fast and so beautiful. 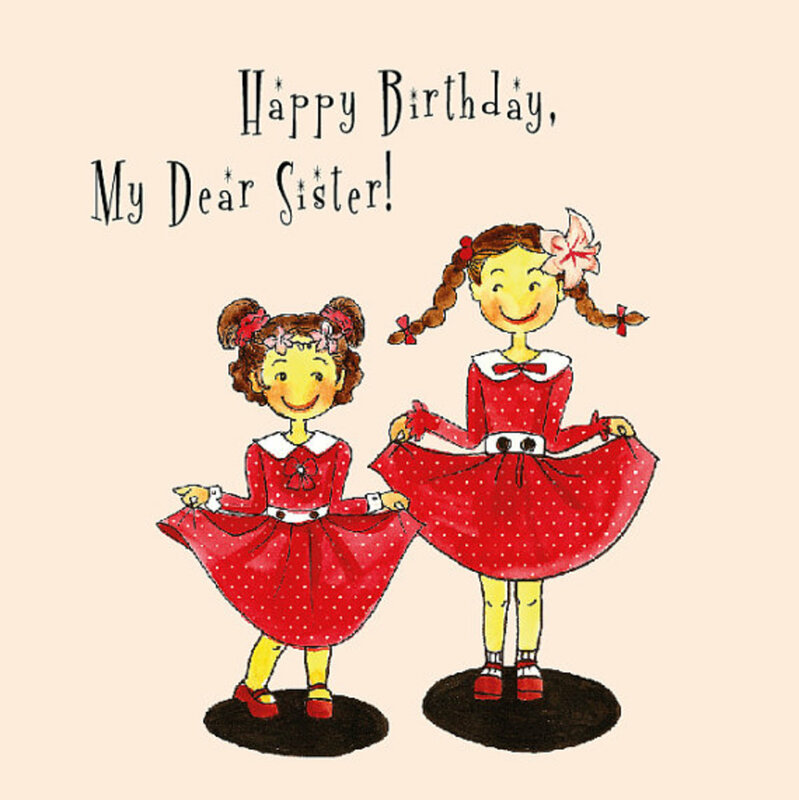 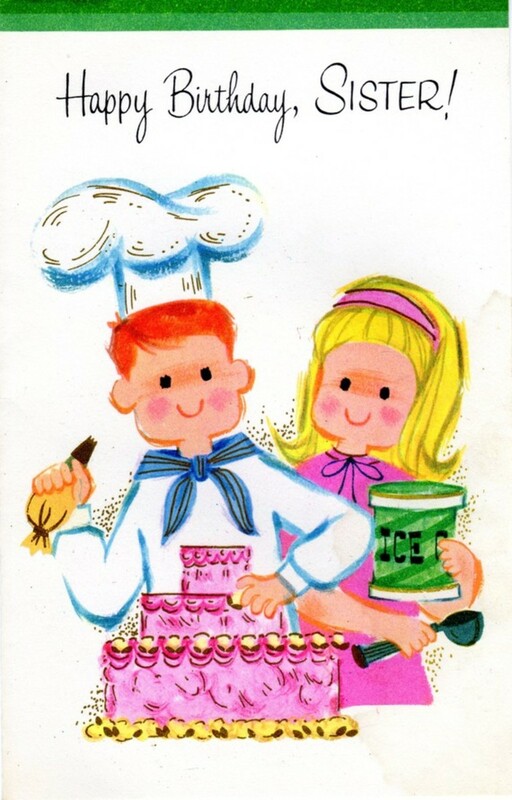 Happy birthday, my darling little sister!" 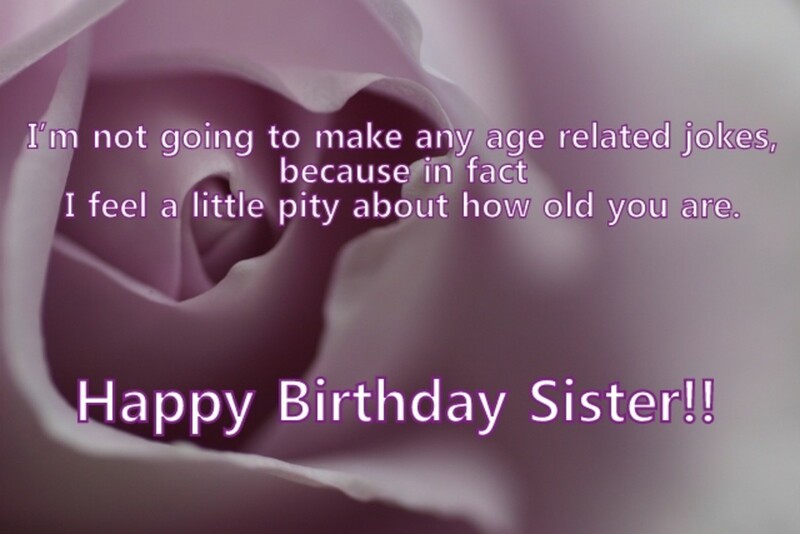 What's even more fun than just wishing happy birthday to a sister is one for your own twin sister. 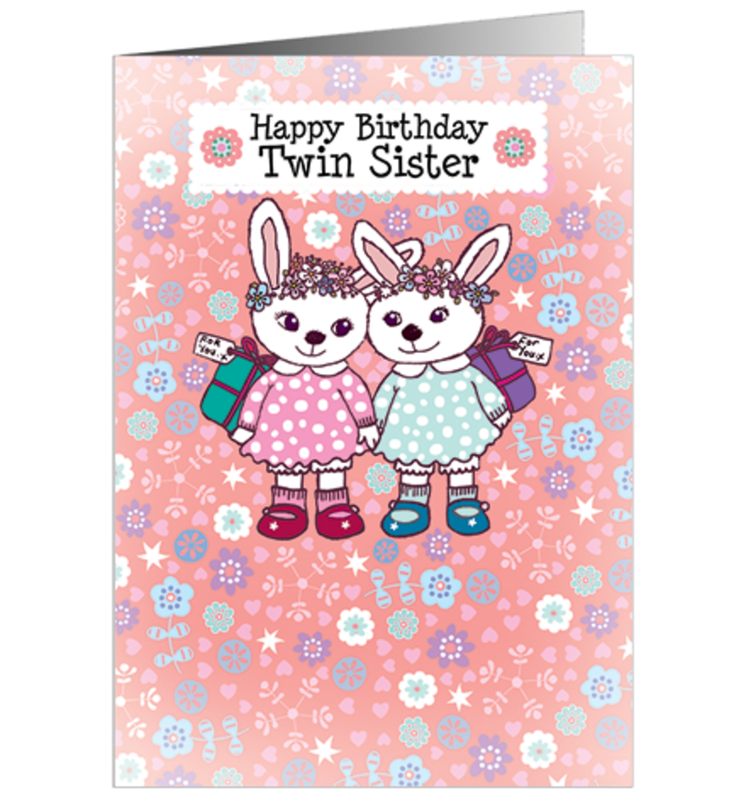 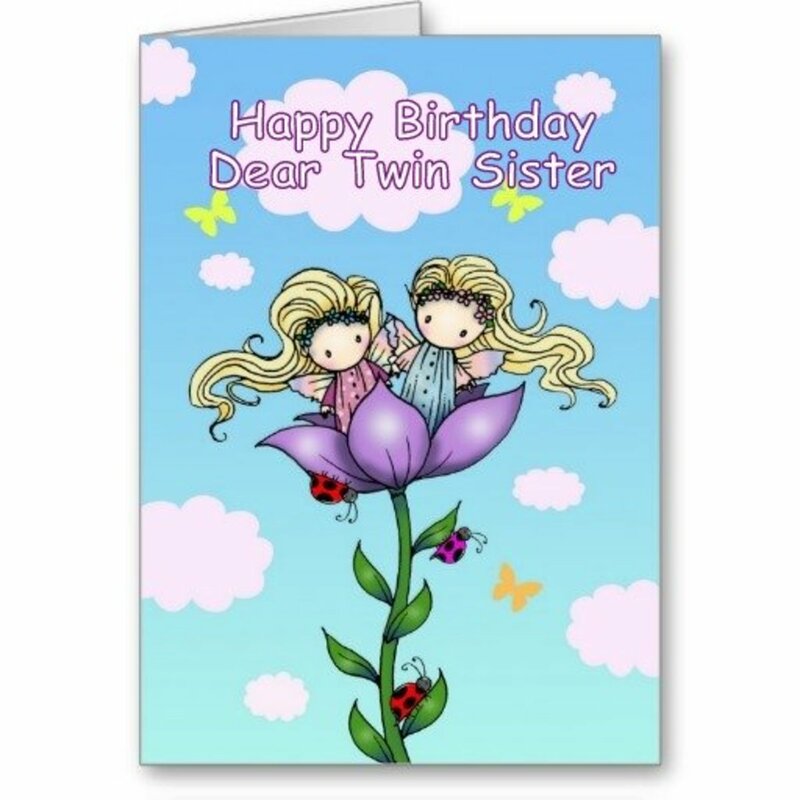 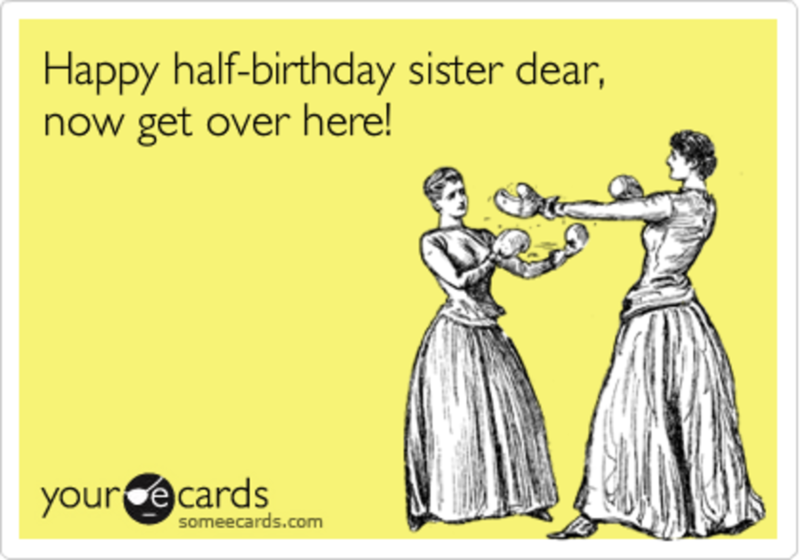 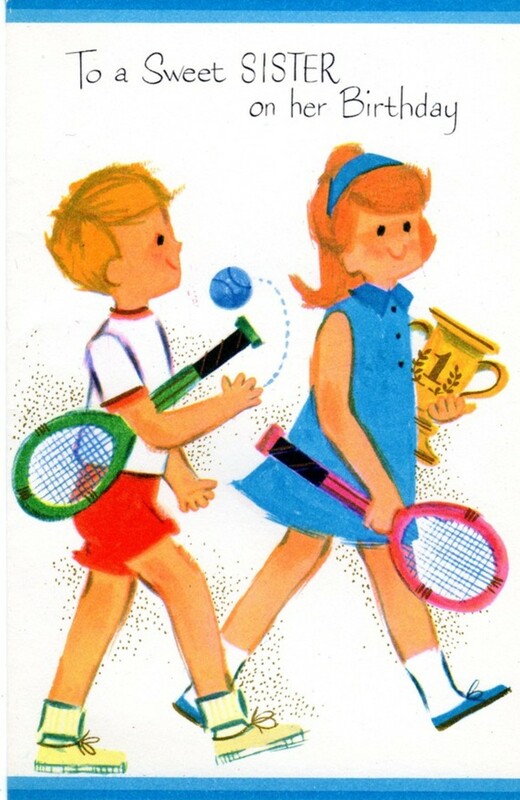 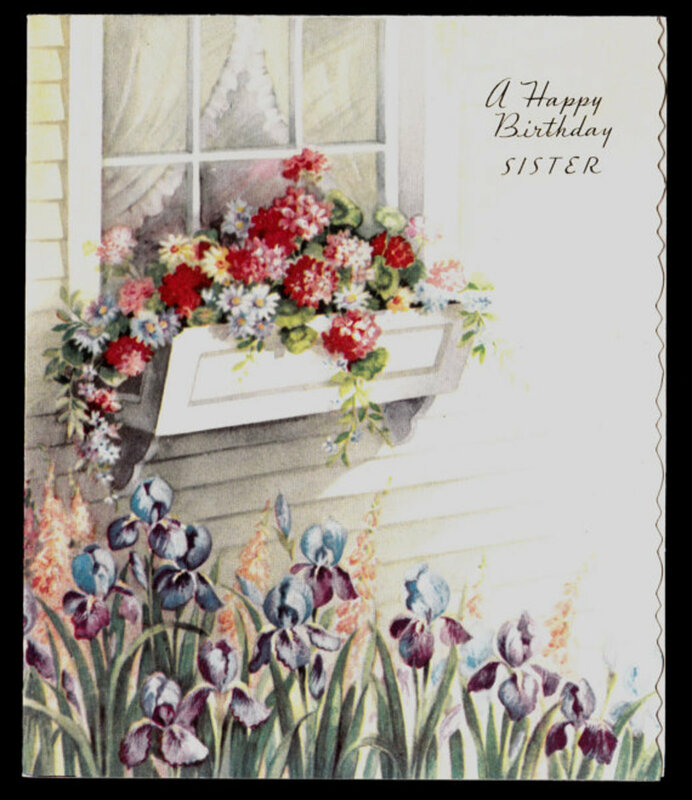 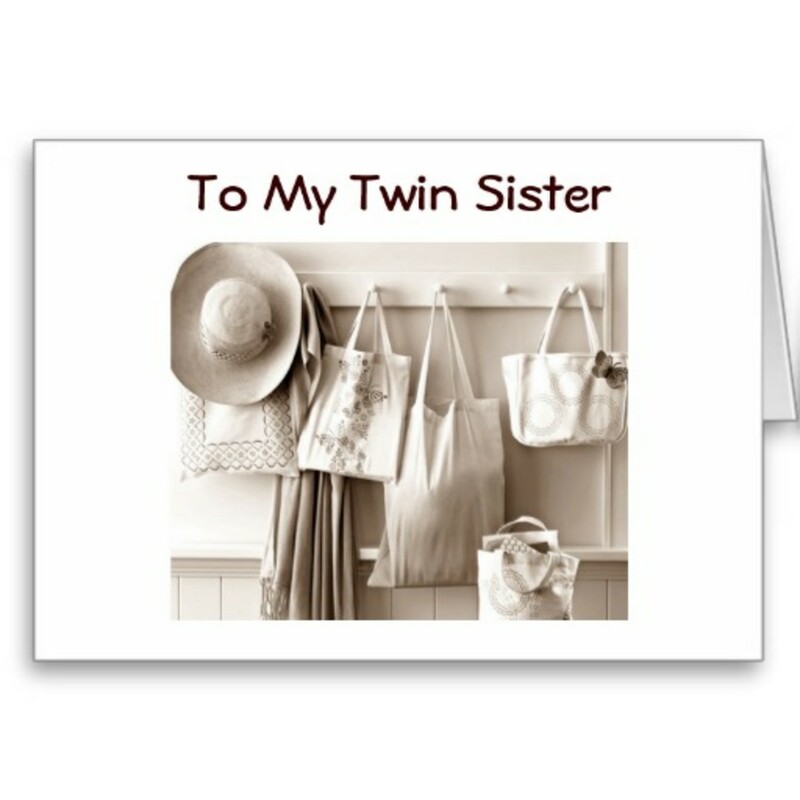 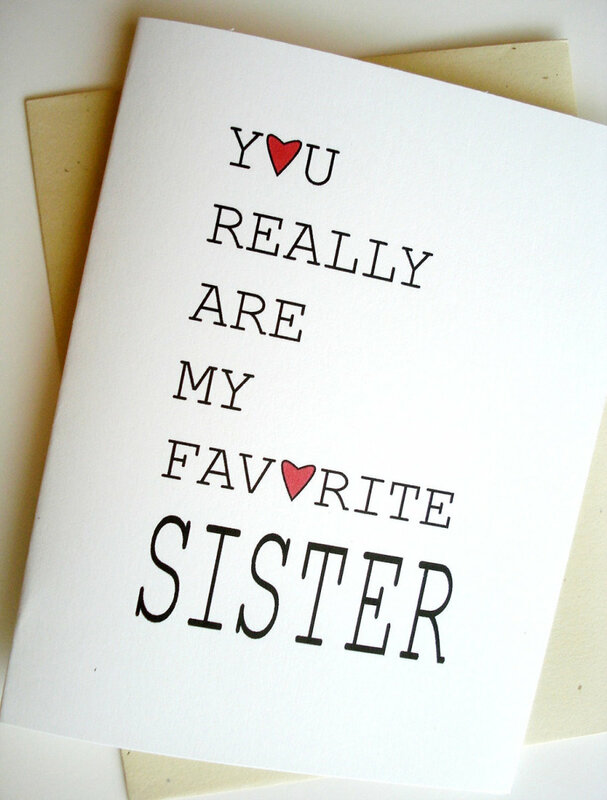 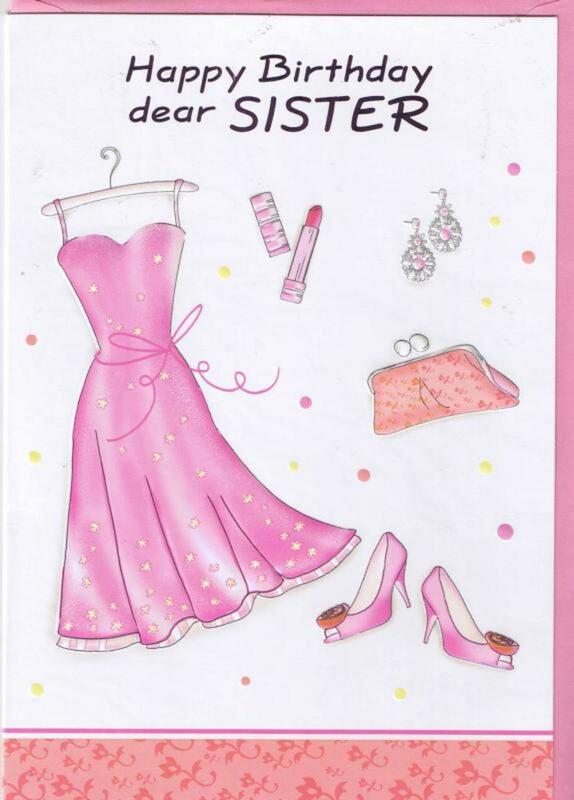 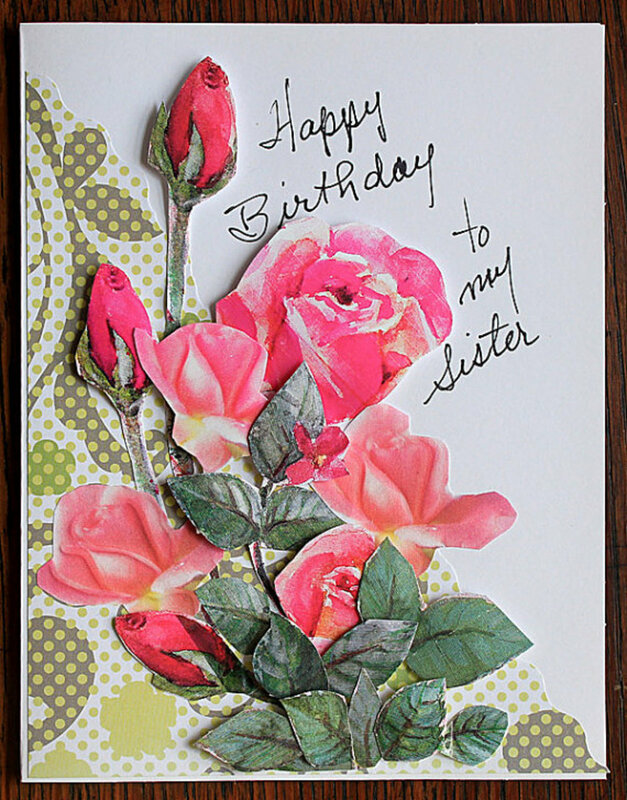 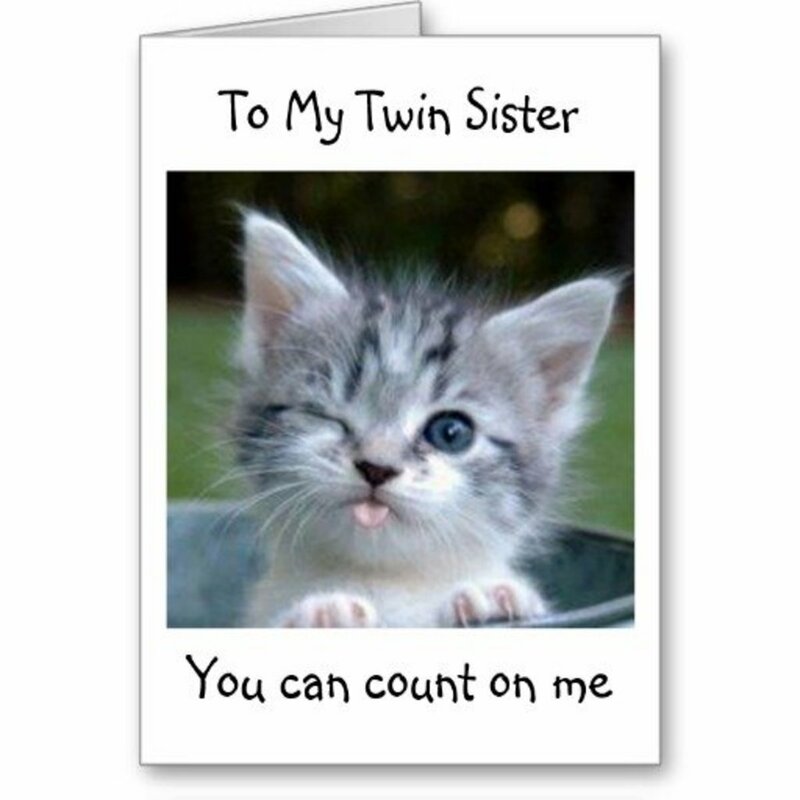 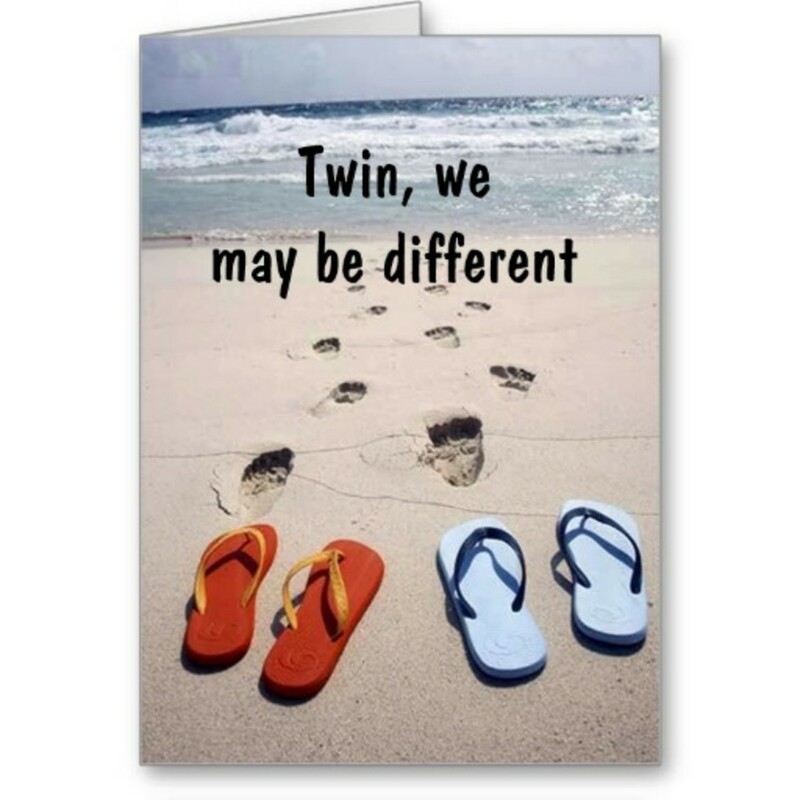 Below, find some great cards with quotes on them for your twin on her (and your) special day. 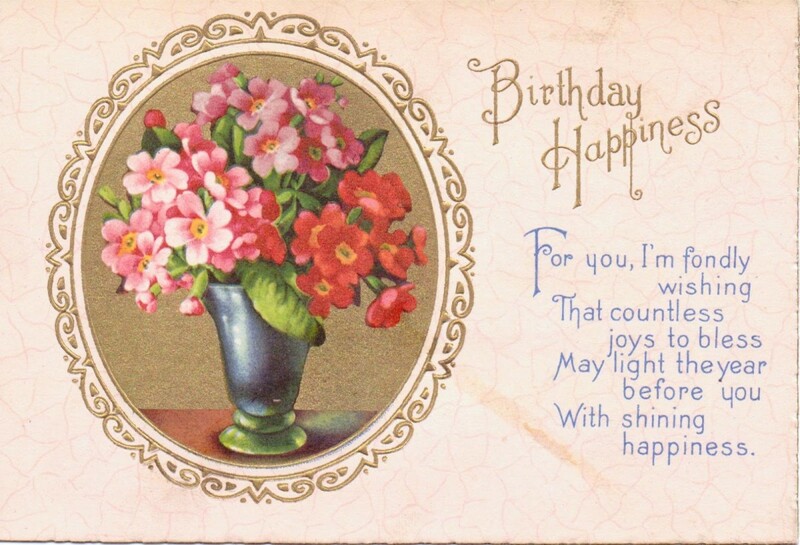 More Great Cards, Images, and Quotes! 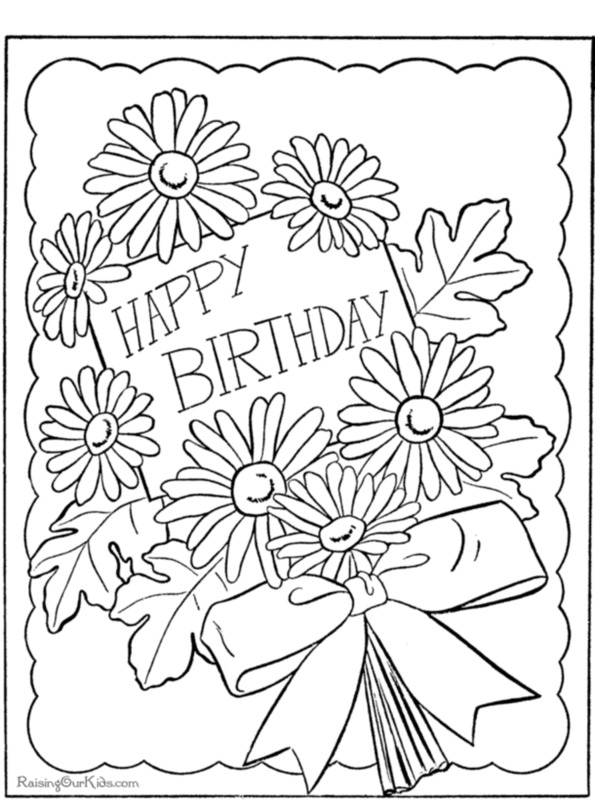 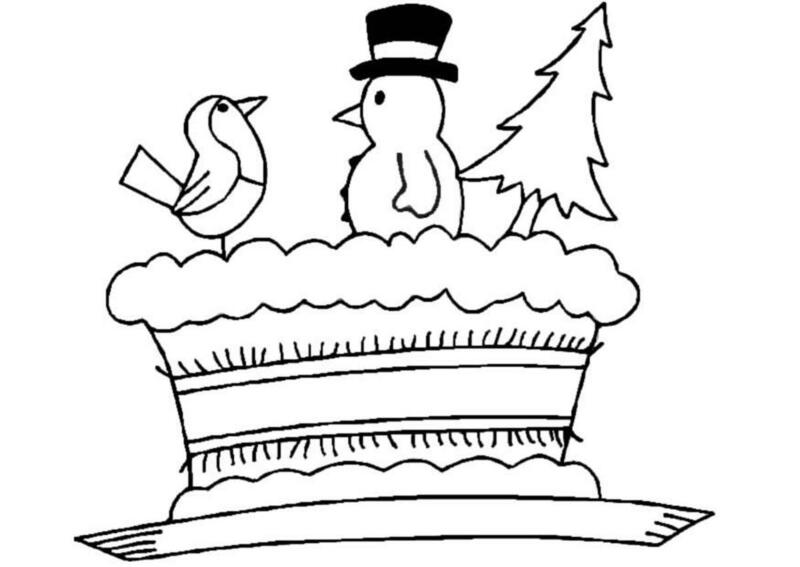 Children love coloring pages! 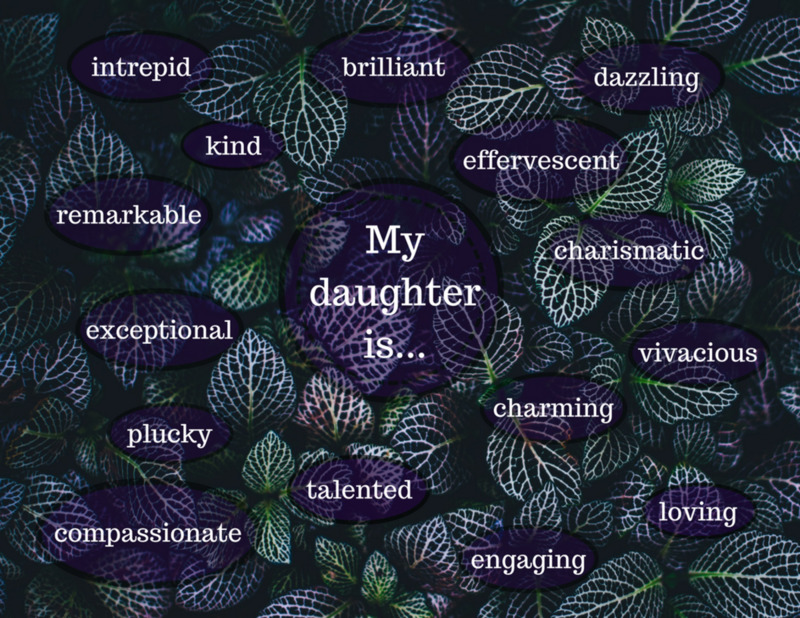 Below, I've provided some great ones you can print out for you and your kids. 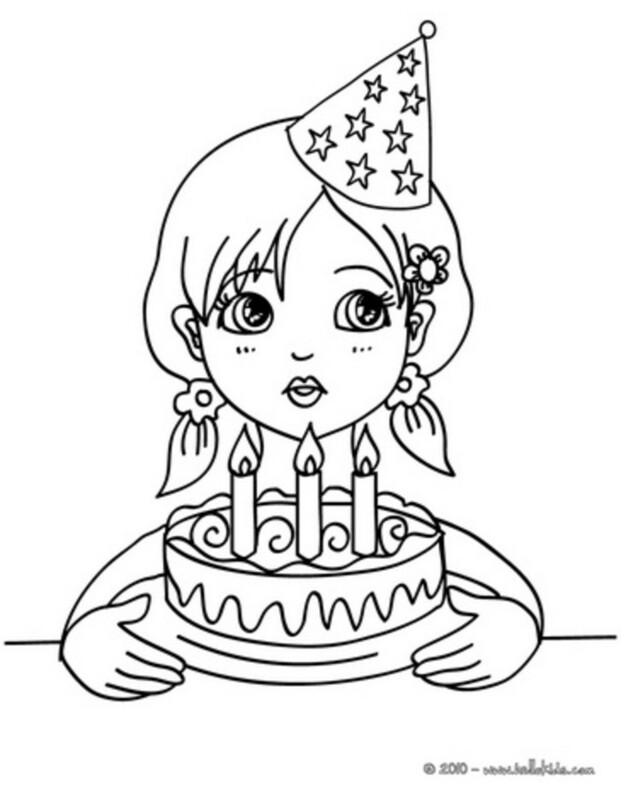 They can color them with with pastels, pencil colors, crayons, or watercolors. 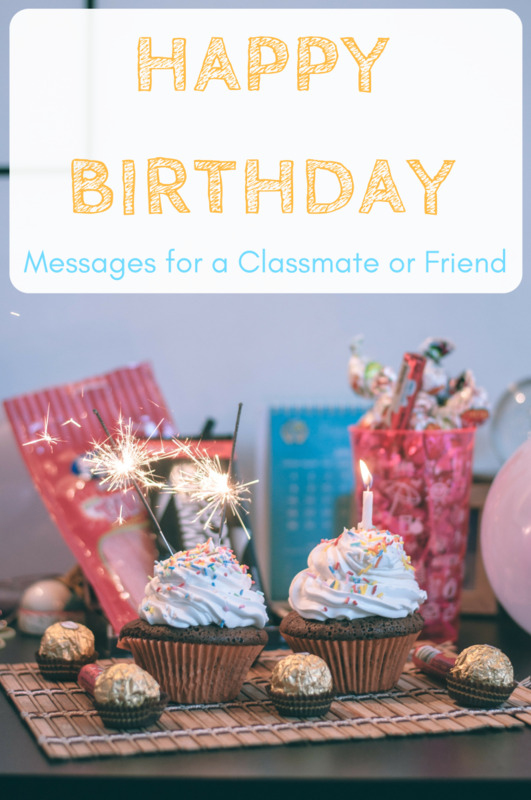 They can be both great party activities and as a gift to a sister celebrating her birthday.